It is commonly known that the human mind is not fully utilized, and there is a theory that the unused portion houses the potential for fantastic mental powers, a concept known as the "Night Head." 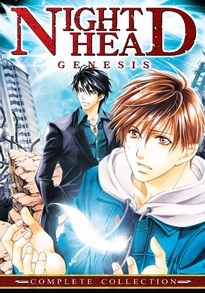 Such is the case for Naoto and Naoya Kirihara, two brothers abandoned by their parents out of fear for their psychic gifts. Held in captivity for fifteen years, the two finally escape their laboratory prison. But even free in the outside world, they are still burdened by the weight of their abilities. They become entangled in case after case involving the supernatural, which gradually leads them to a greater conspiracy.